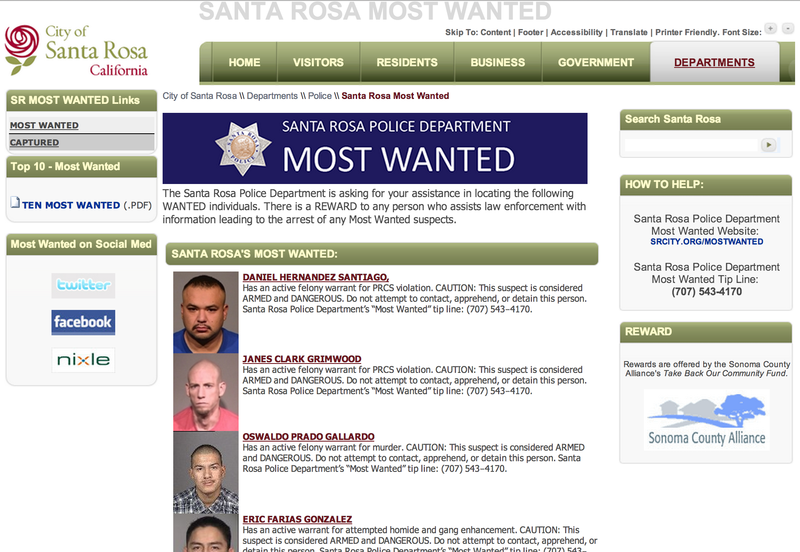 Santa Rosa is looking for help finding the bad guys. This entry was posted in Uncategorized and tagged mostwanted, Santa Rosa. Bookmark the permalink.